Compared to the other horribly boring book that I read on trauma (I’m looking at you Trauma and Recovery), this book is fabulous. In a super easy to read format, this book gives the readers a window into the author’s professional journey of discovering different type of trauma therapy and techniques. The Body Keeps Score would be helpful for anyone with an interest in or experiences of trauma. Another easy to read book…because it should be overwhelmingly apparent by now that I love a good book written in simple language. This book offers readers information and possible strategies for people dealing with depression. It is a motivating book that encourages self-kindness and has a realistic message overall. Ok, I’m going to admit it…choosing the order of my top three was actually really hard. They all should probably be tied for number 1, but alas. This is definitely one of my favourite books on anxiety. It takes very complex processes and shares them with readers in a simplified manner. This book includes lots of great information, exercises, and strategies that will help readers to start the process of rewiring their brains. 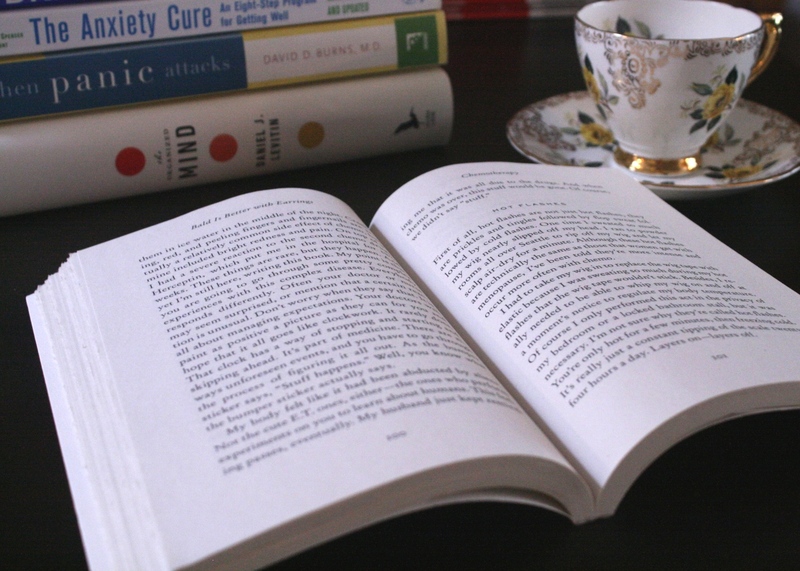 It seems like most people have heard of this book… and for good reason – it’s great! Quiet discusses the differences between introverts and extroverts, while normalizing the traits and feelings associated with being introverted. There are not many good books written on this topic (in my opinion), so this one totally stands out as a helpful book to help introverts to better understand themselves and extroverts to understand their quieter counterparts. I had to do it…this book just had to be first. 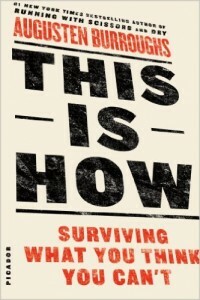 No, it’s not a typical self-help pr psychology book…in fact you won’t even find it in those sections at the bookstore. This is more of a biographical and humour type of book…and neither of those categories diminish the helpfulness of this book. Furiously Happy is a collection of essays that describe the author’s life and her ongoing dealings with mental illness. The most important part of this book is that it smashes stigmas (simply by being open and honest) and it has the potential to normalize certain experiences for readers. I have no doubt that many readers will recognize themselves in the pages of this book…and if they don’t see themselves, they will at least gain some understanding about people who deal with mental illness. The fact that this book challenges the stigma surrounding mental illness made this book an obvious choice for number 1 for me. At some point, I seem to talk to all of my clients about their encounters with stigma and their fears, upset, and anger about it. This book reminds you that you’re not alone. So there you have it – my completely biased list of the Top 10 Most Helpful Books of 2015! Spoiler alert: Everybody talks to themselves…and it can’t be crazy if everyone is doing it, right? We all have an internal dialogue going consistently and it can be lovely and pleasant or downright nasty. Negative self-talk can feel overwhelming, discouraging, and debilitating and, more often than not, people worry that it will never change. Since I tend to spend a lot of time talking about internal dialogues, or self-talk, with my clients (and sometimes self-talk that occurs out loud), I figured it was time to revisit one of my favourite books on the topic. Talking to Yourself is an older book with foundational information that still applies today. 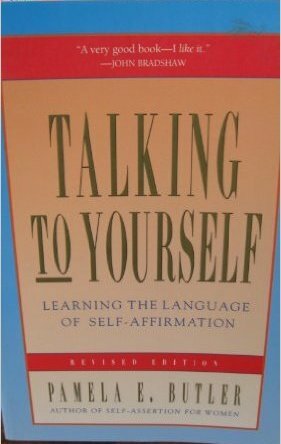 Pamela Butler uses this book to discuss the concept of self-talk, which can have both positive and negative effects on our lives. She devotes a chapter to each of the different ways that our self-talk can be harmful and negative, giving them names such as Drivers, Stoppers, and Confusers. She also discusses the ways that self-talk can be used in a self-supporting manner. Butler shares strategies for how people can hone their positive self-talk, while also discussing barriers that can get in the way. This book has always resonated with me. Yes, it has the corny psychology language that I’ve come to hate (seriously, why do people in the psychology field have to give EVERYTHING cheesy names?? ), but it also has some really great information for understanding the internal dialogue that we all experience. I love that there’s a systems component to this book – in other words, it looks at the concept of self-talk in the context of our environment and discusses the influences that others can have on our internal dialogue. Systems theory is foundational to my work, so I always like to read about topics from that perspective. 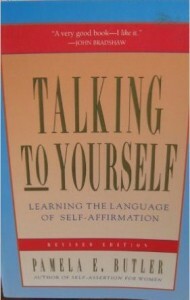 In my opinion, this book is helpful for those wanting to learn more about or change their self-talk patterns. I’ve noticed that, in the autumn months, I seem to be talking more and more with clients about relationship issues. Is it because the happy, carefree feelings of summer have left us? Honestly, I’m not too sure if there’s a correlation there. Perhaps it’s the stress and feelings of tension that often come with all of the autumn and winter holidays. Regardless, I have found myself talking about the principles in this week’s book more and more lately, so I figured I’d better share it with you! The Five Love Languages, written by Dr. Gary Chapman, describes the dynamics of relationships and love in a simplistic and practical manner. Chapman discusses the idea that love is a choice and it takes work. As he states, so many people enter into a marriage and assume that their love will sustain itself and never be an issue. Unfortunately, that’s not the case. In reality, love takes time, effort, and constant consideration for both partners to feel emotionally fulfilled. 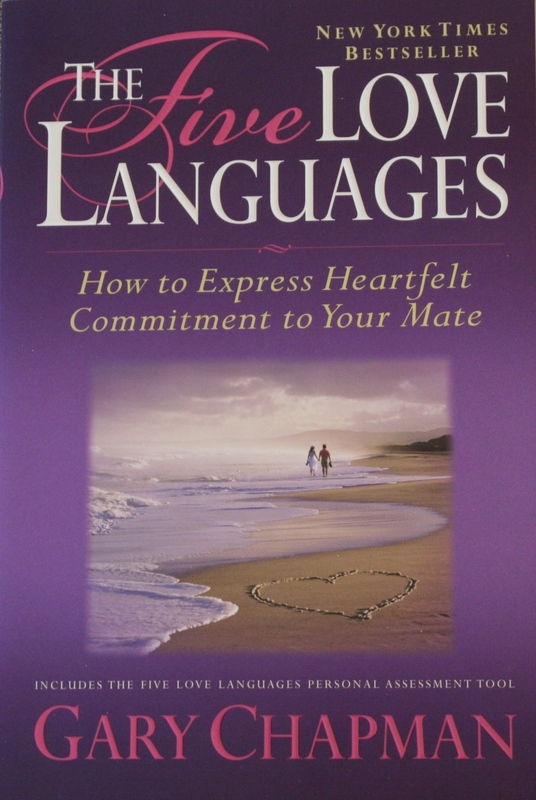 In this book, Chapman describes what he calls ‘the five love languages’: Words of Affirmation, Quality Time, Physical Touch, Acts of Service, and Receiving Gifts. 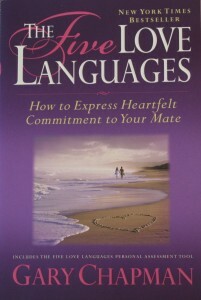 Each person has their own primary love language, which helps to meet their emotional needs with regards to love. Chapman discusses the importance of recognizing and choosing to act on your partner’s love language as a way to fulfill the emotional needs of a love relationship. 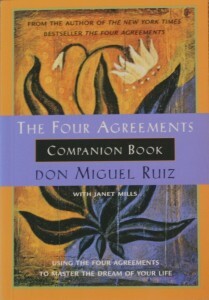 My first encounter with this book was many years ago and the content completely made sense to me. While I think that calling them our love languages is kind of corny, I can’t fault the logic and principles behind Chapman’s work. In fact, I notice it all the time now in relationships that I experience or observe around me. I talk about love languages often with clients who are experiencing discord in their relationships and it always seems to be a concept that is understandable for people. Many of my clients seem surprised by how straightforwardly simple it all is and that seems to encourage them to try out new things in their relationship (i.e. speaking their partner’s love language). Personally, I love how Chapman discusses at length that love is a choice and it requires work. That’s a true fact that we often try to ignore when we feel enamoured with someone else…and then we are surprised when the cracks begin to show in the relationship. I recommend this book to anyone who is interested in looking at their relationships through a different lens and improving their interactions with loved ones. Picture it (yup, I’m going all Sophia from the Golden Girls on you): Poofy, feathery 80’s hair and a flowing outfit with giant shoulder pads. 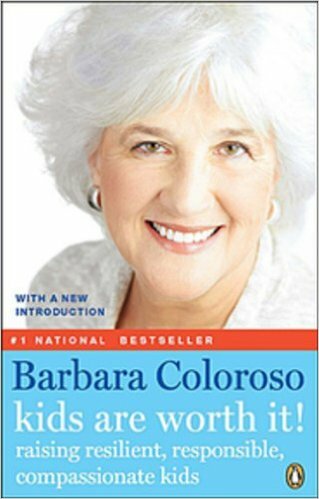 This is how author Barbara Coloroso presents herself in the video version (called Winning at Parenting) of the book I’m going to review this week. I’m not going to lie – it’s a pretty awesome and funny video. Plus, I think it WAS filmed in the late 80’s/early 90’s…so, close enough with the fashion Barbara Coloroso. I’ve probably watched the video version of the book at least two dozen times, as I used to watch it with clients when I worked at Langley Community Services Society (@LangleyCSS). Even though I don’t seem to be working with too many parents at this point in time, I like to keep myself reminded of all the information and theories. Kids are Worth It! is written by Barbara Coloroso, a well known speaker and author on the subject of parenting. In this book, Coloroso shares her unique theory on parenting. Her theory is attachment-based and aimed at building positive, healthy relationships between parents and children. She describes different styles of parenting and gives them cute, somewhat descriptive names: the Brick Wall, Jelly Fish and Backbone Parents. Coloroso also discusses specific challenges that parents tend to face with their children (i.e. chores, sibling rivalry, and teen rebellion) and how to handle them. I found this book (and the video described above) to be insanely helpful when I was working with parents. Attachment is a concept that fits for me and makes sense when I consider parenting, families, and relationships. I actually really enjoy the video (hence why I was willing and able to watch it many, many times) – Coloroso is a very dynamic and humorous speaker…something that didn’t translate quite as well into the book. However, regardless of my personal preferences, I think that the information presented in the book is really helpful and would be beneficial for all parents to read. If reading isn’t your favourite, grab the DVD…if nothing else, I’m sure you’ll get a smile from the awesome 80’s-ness of it! Weird story…a few weeks ago, it was one of those weeks when all of my clients seemed to be experiencing very similar trials and tribulations. I found myself discussing boundaries a lot that week – often a challenging, confusing, and uncomfortable topic for my clients. I found myself wishing that I had some new ways to describe boundaries…then lo and behold, when I went into a local used bookstore (@BeanAroundBooks) on one of my breaks, this book was on the shelf! Boundaries : Where You End and I Begin is a bit of an older book (published in 1991), but it offers some great descriptions and information about boundaries. 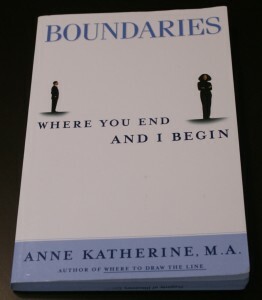 In the book, Anne Katherine describes the various types of boundaries, what boundaries are for, and why we want to have them. She uses many examples throughout the book to illustrate boundaries and boundary-less situations. Specifically, she discusses boundaries in the context of close and intimate relationships. The end of the book is devoted to helping readers build and recognize boundaries. You know, I found this book useful. Given the publication date, I figured that the information would be a bit stale. I was pleasantly surprised to find that the definitions, descriptions and examples seem to transcend time. It was clear how passionate the author was about the topic of boundaries, particularly when discussing physical boundaries. She actually gets a little mom-like when discussing that your body is your own and you get to choose who touches it and how. That part felt a bit like a lecture…though a necessary one. The most interesting parts of the book for me were the stories that were used as examples and I think that many readers will recognize themselves in those scenarios. In my opinion, the book achieves what the title promises – it describes in explicit (but also simplistic) detail how boundaries define us as individual from others. Awesome – you’ve picked out a self-help book! But that’s only the first step…now you’ve actually got to read it and try to have your needs met by it. The following are some tips on how to best use self-help books and get as much benefit from them as possible. Designate some time each day to read the book. These are the types of books that are meant to be read slowly. You need time to process the information being given, do the activities, and think about how the content of the book relates to you, your experiences, and your feelings. I strongly suggest that you don’t read a self-help book all in one sitting. Do the activities! Activities…exercises…whatever you want to call them. Do them. If you’ve chosen the right book to meet your needs, the activities will probably be extremely beneficial and will help you to meet your goals. The activities aren’t there to take up space – the author genuinely believes and advocates for their usefulness. They will help you to integrate the information being presented and may be the first step towards making the changes that you’re seeking. Remove ‘should’ from your vocabulary when reading self-help books. That inner voice that we all have can be quite demanding. It often tells us that we should be able to do something or that we shouldn’t be feeling a certain way. It’s kind of a jerk. I’m a strong advocate for the abolishment of ‘shoulds’ in everyday life, but let’s just talk about self-help books. Self-help books can activate those ‘shoulds’ as we read about the successes of others, learn seemingly easy and straightforward strategies, and compare ourselves to the material. I can’t stress enough that each person and situation are unique – there is no right or wrong way to feel, experience, or heal. ‘Shoulds’ imply that there is and tend to give people false expectations of themselves. Be judgmental. Yup, that felt weird to write. I don’t often encourage people to be judgmental. 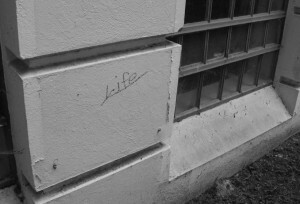 However, in this case, I will. I want you to read your self-help books with a critical mind. While we may desperately want to believe that an expert will have the ultimate solution to our problems, it may not be the case. Every person, every situation, every feeling is different. When it comes to mental health, there is not one solution that is 100% effective. You will need to judge for yourself whether the content presented will be useful and life-changing for you. There is a ton of research showing that, if you don’t buy into a certain treatment, it will be much less effective. It may even be completely ineffective. Know when to choose an other. As I mentioned last week, there is no definitive way to choose the most ideal self-help book. It’s totally possible that you might find yourself not liking your choice, rolling your eyes throughout, skipping sections, or even frowning as you read it. Those would be signs that it’s time to call it a day with that book…put it down and choose another. You may need to do a bit of trial and error in order to find what you really need. Accept the idea that sometimes a book is just not enough. I really wish that I could tell you that a book will solve all of your problems…but sometimes, it’s just not the case. Knowing when it’s time to call it quits with self-help books and seek out other forms of assistance is really important. Moving on from self-help books may mean seeking out a counsellor, seeing your doctor, talking to a friend or family member, or attending a group. There are lots of ways to find help if the books aren’t cutting it! One of my favourite psychology topics to read about is anxiety. I find anxiety to be such a curious beast…it can be so different for each person who struggles with it. I also really love to read about the science behind anxiety – science plays a big role in anxiety and, as I mentioned in a previous post, neuroplasticity is one of my favourite topics to discuss with clients. 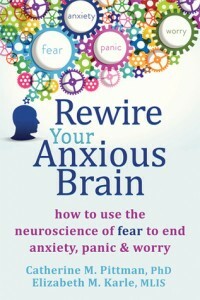 So, it makes sense that I’d pick up a book that tells me in the title that it will talk about anxiety and neuroscience! Rewire Your Anxious Brain really gets into the science of anxiety. It describes the roles of the brain and nervous system in anxiety. Primarily, the two different brain pathways that can lead to anxiety, the amygdala and the cortex, are discussed. Each pathway is described in detail and the differences are made very clear. This book also discusses different strategies that can and cannot be used to target each pathway. There are a lot of ‘exercises’ throughout the book as well. I use the term ‘exercise’ loosely though, as they are mostly just checklists to see if something applies to your specific experience of anxiety (i.e. obsessions, perfectionism, etc.). The scientific concepts in this book are conveyed in a very straightforward and uncomplicated manner. I’ve read some online reviews indicating that other people have found it to be too much science and it overwhelmed them. Personally, I think that this is one of the best descriptions of the science behind anxiety that I’ve read in mass produced book. As a counsellor, I find that super beneficial as it helps me to find new ways to describe somewhat complicated processes to clients in session. 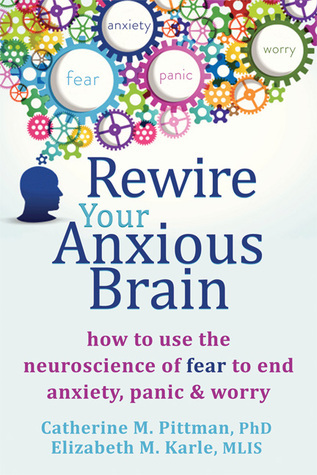 This book is meant for anyone who wants to learn more about the mechanisms of anxiety – whether it’s to discuss it with or teach it to other people, discover why you’ve been feeling the way you have, or to learn some strategies to start the rewiring process.